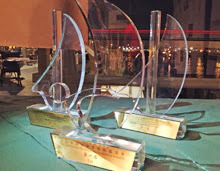 Cal State-Long Beach Wins Chinese J/80 Pan-Pacific's! (Xiamen, China)- The Cal State Long Beach Sailing Team torpedoed the competition in Xiamen, China last month as they swept their way to victory at the first Pan-Pacific University Sailing Championship. Over 20 teams from China, Taiwan and Singapore took to the waters in their J/80 the weekend of July 15-17 hoping to take home the gold. Fortunately, the team made the most of the school’s first international regatta by winning all seven races hosted in Wuyuan Bay. Although the team had never sailed those waters, Young attributed their preparedness to the water conditions being nearly identical to the waters of Marina Del Ray where they had practiced leading up to the trip to China. The team tried to remain grounded as they continued to win races throughout the weekend, but they were finally able to express their happiness after winning the seventh and final race, which left no question as to who was taking home the gold medal. The victory overseas, however, almost didn’t happen. Pressed for time and funds, Young admitted that it came down to the final week to raise the $12,000 it was going to cost to send the five sailors to China. Donations from the Long Beach Yacht Club, as well as private donors and team parents, combined with the team’s t-shirt sales successfully financed the trip. At a banquet held last Thursday night at the Long Beach Yacht Club to honor the victory, the team dedicated their trophies to the donors to show their appreciation. “That was one of the bigger accomplishments outside of sailing for our team,” Young said of the fundraising effort. Young goes on to explain that the team regularly struggles just to raise gas money for trips to San Francisco, where they stay at the homes of area Yacht Club members to save money. Three years ago, the Cal State Long Beach sailing team was a distant memory. The team had history, being ranked as one of best in the nation during a portion of the 1980s, but it had become dormant before Young and a few like-minded students decided to resurrect it. Laura Newton, a former member of the team and co-resuscitator of the team, recalled the growing pains. (San Diego, CA)- Attention all J/Sailors, you're invited to J/Fest 2013, September 27 - 29 at San Diego Yacht Club! J/Fest boasts a long history of being one of the most fun and well attended regattas in SoCal, exclusively for J/Boats! The regatta is open to one design classes as well as a J/Boat PH fleet! There are two Racing Venues for the fleets. One is inside San Diego Bay racing on some nice flat water-- for the J/22, J/24, J/70. J80 one-design fleets. On the outside sailing in the wide-open ocean off beautiful Point Loma are the J/105, J/109 and J/120 one-design fleets along with the J/PHRF fleets. 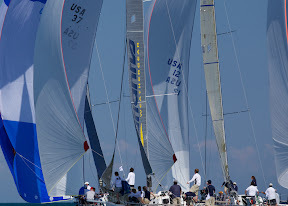 (Annapolis, MD)- Annapolis Race Week is one of the premier sailing regattas in the Mid-Atlantic Region. It's sailed annually over the Labor Day Weekend (this year from August 31st to September 2nd) off Annapolis. CBYRA is happy to announce that its tent party and regatta headquarters will be again held at Annapolis' City Dock. Utilizing the Susan Campbell Park as the shore-side venue has heightened visibility and attendance and by opening it up to the public, created a citywide festival type event oriented towards sailing! There are more than fifty-seven J/Teams sailing out of eighty-three boats registered so far with J's representing the dominant brand at the regatta with over 70% of the fleet! The inaugural J/70 one-design class has thirty-one teams competing, by far the largest class in the regatta, where many leading contenders are using the event as a tune-up for the upcoming J/70 North Americans in Annapolis in the end of September. Amongst the notable teams (based on recent performances) are Joel Ronning's CATAPULT, Blake Kimbrough's NOSTALGIA, Bennet Greenwald's PERSEVERANCE, Martin Kullman's TOUCH 2 PLAY and Brian Keane's SAVASANA. Two others to watch out for are Henry Filter on WILD CHILD and Peter McChesney on USA 209-- both college sailing All-Americans with enormous amounts of one-design experience under their belts. Three women skippers are also participating and have been demonstrating they are quite competitive at both a regional and national level, including Jenn Wulff on JOINT CUSTODY, Kathy Parks on SUNDOG and Catharine Evans on MOJITO. (La Rochelle, France)- J/120 RHAPSODY V won the Rolex Fastnet Race IRC Class 3 and was third overall in IRC of nearly 200 boats! Their program was launched two years ago by Jean-Jacques Godet (of the famous French cognac house of the same name) with a largely La Rochelle-based crew. "It was a family and friends project," explains Tony Pike, manager of North Sails. "Jean-Jacques Godet bought the boat and then he came to see me to buy sails. I helped organize the crew and tried to make good progress." In particular, they made use of professional sailors in "key positions" as part of the whole crew. For the Fastnet Race, Tony convinced Yannick Bestaven (hoping defend his Class 40 title in the next Transat Jacques Vabre) to join the adventure. The La Rochelle team has had a very successful summer racing offshore. In Cowes Race Week they finished third in class on the Solent (the start for the Fastnet Race). And, in May they won the Armen Race. So, the third overall finish in Plymouth illustrates the remarkable progression of RHAPSODY V over the past two years. It has been a great, heart-warming success for Jean-Jacques Godet, who had aboard his two sons (Maxime and Jean-Edouard). Other Rochelais sailors that were present included Tony Pike, Yannick Bestaven, Florian Floglietti, Augustin Frédéric Ruffle and Leclere. M. Godet was able to attract experienced professional sailors of Yannick Bestaven's calibre because, beyond just the racing, the enormous numbers of IRC sailors are also potential customers for Bestaven's company-- WATT & SEA-- renown for making high quality, reliable hydro-generators for sailing yachts and offshore racing and cruising boats of all sizes. Said Tony Pike of their experience, "What we want is that the owner has great fun both on the water and on land. We're here to help tactically, provide information on weather options, help on navigation, and fine-tune sail trim." Clearly they achieved their goals while maintaining crew cohesion and a family-like atmosphere of cooperation! The final stage of their season is the "Telegram" Regatta in Lorient, France. Next year the team will be sailing in the entire West Indies sailing circuit in the Caribbean! For more about Godet's Fastnet experience, please read here. (Camden, Maine)- There is no more desirable sailing venue than scenic Penobscot Bay in August, and this year’s Rendezvous sailed from August 15th to 18th was near perfect with temperatures in the mid 70s, blue skies every day and sailing breezes from 5 to 15 knots every day. Forty-two boats participated (40% were J’s) and they covered the J/Boat spectrum with two J/160s, two J/46s, three J/42s, a J/40 and a J/34C from the cruising ranks as well as a J/122, J/120, J/109, two J/100s and a J/29 and a J/80. No surprise that J’s took 60% of the podium positions. In PHRF 1 J’s took three of the top four spots with Don Logan’s J/105 KEEMAH coming second followed by two J/100s, Tom Gill's SEA SMOKE in 3rd and Frank Simon's SMITTEN in fourth. PHRF 2 was dominated by Larry Turner’s J/29 RENEGADE with 5 points followed by Jesse Henry’s J/80 CHAISE LOUNGE with 8 points in second. Cruising Canvas came down to a nail biter between Judy Jellinek’s gorgeous J/160 SEPTEMBER MORNING, the venerable Palmer Johnson 53 Anjaca, with deep local knowledge aboard, and Windwalker, a stunning Lyman Morse 60. Had there been a concours d elegance it would have been a dead heat! On the final day, SEPTEMBER MORNING was able to save her overall victory with a one point margin over Anjacaa and Windwalker. A great effort by Judy in her third ever regatta! Double-Handed was the largest class with sixteen entrants and it turned into a battle royal between a very well sailed Sydney 38 sailed by Tom Hall and Tom Babbitt's BRAVO, a shoal draft J42 in full cruise mode, cockpit cushions, dodger and grill deployed. BRAVO was able to win the first day, with Buzz second, but Buzz dominated on Saturday with BRAVO second, so Sunday was the rubber match and in the stronger breeze, Buzz eeked out a 20 second victory over BRAVO. The final standings were Buzz in first, BRAVO second and Bermuda One-Two overall champion, Scott Miller’s J/122 RESOLUTE, in third. Fifth was James Bennett's J/34c ASTAEA. Next year’s Rendezvous will be August 14 – 17, 2014. Don’t miss it! "We won our class with a second place in the overall ranking. The boat is powered by the fantastic Doyle sails designed in USA by Mark Ploch and perfectly made by Doyle Italy. But our results are not the main reason why I'm sending you this message. Racing against good boats and sailed by really high level crews, I really appreciated, another time, the 'sweet' pleasure of quality. Sailing is a passion first of all, so it's really fantastic to know that someone is able to design and produce a boat and sails of such a quality. We were always fast, upwind and downwind and everything on board worked well, every hardware is in the right place and with the right dimension. J/Teams Enjoy Brilliant Chester Race Week! J/120 BRILLIANCE Does it Again! 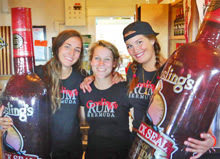 (Chester, Nova Scotia)- Competitors from across Canada and the Eastern Seaboard descended upon the picturesque fishing village of Chester, Nova Scotia for Canada’s largest keelboat regatta – Chester Race Week, sailed from August 14th to 17th. Under variable conditions that included light air, fog and medium air with brilliant sunshine along with the 183' Fidelis anchored in the inner harbour in Chester, 133 yachts competed in this years running of Chester Race Week. 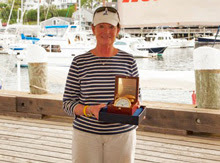 Richard Calder's J/120 BRILLIANCE sailing from Royal Nova Scotia Yacht Squadron completed her defense of the Alpha Distance 1 class championship at this years Chester Race Week posting a solid 1-1-1-4 scoreline in the 11 boat fleet. Sailing to a close second was Fred Smither's J/120 ADIOS skippered by Dwayne Smithers and in third was Chester YC's Dave Connolly onboard the J/111 STAMPEDER. In Alpha Distance 2 division, Rod Johnstone's crew onboard J/35 JAI TU finished second ahead of RNSYS's Paul Rafuse J/109 WISC while fourth went to Rory MacDonald & Sean McDermott's J/105 MCMAC. Meanwhile, in Alpha 1 class, Mark Surrette's J/111 BLAST finished second in class. The J/29 one-design class winner was Andrew Child's SILVER WOMAN counting an astounding eight 1sts in nine races to count to dominate their class with a 14 pt win! Second was a tough battle for two boats- J-ZEUS II9 and COLMONELL. In the end, it was John Heseltine's J-ZEUS II9 with 24 pts taking the silver followed by the Christie Brothers's COLMONELL just one point back in third place. The J/24 one-design class had a good turn-out, with eight boats sailing in a very competitive series. Ultimately, RNSYS's Peter Wickwire onboard SUNNYVALE took the J/24 crown, but it was not an easy one to attain. Nipping at their heels all regatta long was Ted Murphy's JUVENILE DELINQUENT from RNSYS, taking second place just 3 pts back. Sailing brilliantly at times, but tossing a few discard races into the mix, was Greg Blunden's ADRENALINE RUSH-- too much Red Bull perhaps for these boys? Their roller-coaster scoreline still enabled them to hang in for third overall. (Plymouth, England)- J/111 XCENTRIC RIPPER sailed by John van de Starre and Robin Verhoef sailed well again in this year's Fastnet Race sailing in the IRC Double-handed class. Here's a video sequence by videographer Robin Knight of them flying along under main, code zero and jib on starboard tack headed to Fastnet Rock-- with no one on the helm!! They're using, of course, a powerful auto-pilot on the steering quadrant to enable one person on deck to trim sails and adjust the autopilot magnetic course. Get a feeling for their experience by viewing this short YouTube sailing video. (Howth, Ireland)- Howth Yacht Club hosted the recent J/24 Irish Championships, an event which was both a warm-up for Irish competitors and a fine tune for the race management team, in advance of the imminent BMW J/24 World Championship. With the top three determined by just one point, it's indicative of how close the class has become competitively amongst its top practitioners! Saturday morning saw the fleet held ashore for a few hours by PRO David Lovegrove due to high winds. Nobody wanted to risk serious damage a week out from the main event. The later start still allowed the 20 entrants from Ireland, Great Britain and USA to enjoy four races held in a variety of conditions. Sun, rain, squalls, flat calms, big shifts and a changing tide all created a very unusual mix for Howth. As one race official noted, "If you don't like the weather, hang on for five minutes!" In spite of the weather challenges, GBR visitors IL RICCIO (Italian for "The Hedgehog") sailed by Ian Southworth dominated the first day and headed for the bar with a 1-2-1-1 score. Just behind them was fellow Brit Bob Turner on SERCO with a 5-1-3-3 and Ireland's Flor O'Driscoll sailing HARD ON PORT into third with a 3-5-5-10. The top Americans all had great scores, save for bad drop races, like Keith Whittemore's FURIO from Seattle, Washington and Tony Parker's BANGOR PACKET from Georgetown, DC. Top of the Irish boats at that stage was Howth's Mossy Shanahan who bagged a tasty 2-10-4-7. The dividends were paid to those who played relatively conservatively and kept their noses clean. Lighter and less variable conditions treated the fleet to incredibly tight racing on Sunday with another four races banged off in quick time. By the end of Race 6, IL RICCIO had sewn up the regatta, pocketing a further two wins, not needing to race in the last two. A clinical display of extraordinary seamanship and sailing! The fleet did its best to push the 3PM deadline for a last start by forcing a general recall in the penultimate race. Taking second for the regatta was Seattle's Keith Whittemore on FURIO, posting a 2-2-1.5-1- in the last four races to nearly pull off the ultimate upset sailing the last day, losing by just a 0.5 pts. Third was the UK's Bob Turner on SERCO just another 0.5 pts back!! Rounding out the closely fought top five were Tony Parker's BANGOR PACKET crew in fourth and the Brit's JIGGY 2 led by Paul Williams in fifth. Irish National title winner was the HYC Under 25 crew sailing EURO CAR PARKS KILCULLEN followed by Flor O'Driscoll's team HARD ON PORT in second and taking third Irish Nats on the podium was the Darrer/ Murphy team on the old STOUCHE. (Chicago, IL)- The newly International J/111 One-design class held its inaugural North American Championship from August 14th to 18th, 2013 at Chicago Yacht Club's Belmont Station. 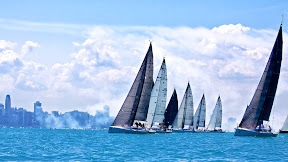 It was an exciting show for the fourteen boats sailing from across America, with teams participating from the Gulf of Mexico, Great Lakes and East Coast. An unexpected treat for the sailors was the fact the wildly popular Chicago Air & Water Show was being held concurrently, with over one million people watching along Chicago's spectacular waterfront with simply epic aerial, smoke-trailed acrobatic maneuvers performed by World War I bi-planes/ tri-planes, World War II vintage fighter planes and modern fighter jets just blowing away the bystanders with twisting, diving, spiraling, loop-to-looping balletic displays of breathtaking aerial maneuvers. 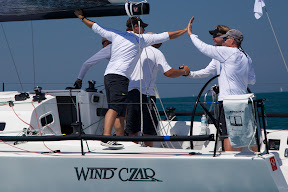 After four exciting days of sailing in very challenging wind conditions that rarely topped 7.5 kts of wind, the legends of Harbor Springs, Rich Lehmann's crackerjack team on their mighty WINDCZAR, sailed to the top of the class-- crowned as first ever J/111 North American Champions. It was truly a roller-coaster ride for many of the top five teams in the event that saw fairly dramatic swings on the leaderboard each day until the last day of the regatta. Of the four days sailed, the most wind was seen by fleet on the first three legs of the first race on Thursday-- that's when it broke the supersonic 10 kts barrier, albeit briefly. Thereafter, the next 3.5 days of racing were spent in the easterly quadrant with breezes blowing onshore from ENE to ESE in varying degrees of intensity from 5 to 7.5 kts. For those who had good light air speed upwind, in particular, it was a heaven sent gift no one could've ever imagined. From day one, it was clear the regatta was going to be between two well-sailed crews, Len Siegal's LUCKY DUBIE from the host Chicago YC (and regatta co-chair) and Rich Lehmann's WINDCZAR from Harbor Springs, Michigan. Leading from the outset, the LUCKY DUBIE gang was part of the trio of boats that prophetically split on the first downwind run in the first race from the entire fleet to be one of the leaders of the regatta from there on end (the others were Paul Stahlberg's MENTAL and Lehmann's WINDCZAR!). After the first day, the LUCKY DUBIE gang was leading with WINDCZAR in second and the Verve Cup J/111 class winner, Henry Brauer's FLEETWING, was hanging in for a solid third place position. Day two was a dramatic reversal of fortunes for many. Moving into first place by virtue of an outstanding day on the water was WINDCZAR with a daily 2-1-5 record to put them 8 pts clear in first place with 12 pts total. Having a less "smokin hot" day was Len Siegal's LUCKY DUBIE. While sailing a brilliant last race of the day, the first two races were simply forgettable. After posting a 9-7-1, the Lucky Dubsters dropped into second with 20 pts total. Third was the famous red boat MENTAL piloted by Paul Stahlberg and gang from Milwaukee, Wisconsin. Their very consistent 5-2-6 pulled them into third overall with 28 pts. The third day of the regatta produced the surprise performance so far. William Smith's WOOTON helmed by Jim Alvert smoked the fleet in the first two races with two firsts by a country mile! However, the third race proved to be the roller-coaster ride so far for the regatta. For many, the "wheels fell off the shopping trolley". In other words, like the proverbial "Icarus" flying too close to the sun, their wings got burnt off and came crashing down to the reality of Earth. Remarkably, the regatta leader WINDCZAR fell into that category. After a brilliant second day, the "wind wizards" posted a 6-8-8 for the day to drop into a tie for second place one point off the lead! 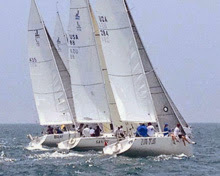 The LUCKIE DUBIE gang sailed a solid day to take a 4-7-2 for the day to become, again, the regatta leaders by one point. Finishing in triumphant fashion after their first two races was Stahlberg's MENTAL, improving every race to post a 5-3-1 score to emphatically put their mark on their bid for top honors overall. Tied with them was Marty Roesch's VELOCITY team from Annapolis, Maryland in the top five. The last day promised to be another cliff-hanger for the fleet with a light ESE breeze that was fed by an onshore sea-breeze effect midday. The fact the lead had changed hands so dramatically in the last three days and that the top five were all within ten points of one another meant the championship was wide open for the team that could rise to the occasion. With racing scheduled to start at 1030 hrs, the Chicago YC PRO and crew did a magnificent job to get the ball rolling and after two general recalls the fleet took off into an ESE breeze at 105 degrees blowing 5-7 kts. With yet another "classic southeast sea-breeze" building the big question would be which way the "locals" would go and how would the "foreigners" figure it all out? With the breeze fluctuating from 90 to 125 degrees, it was anyone's guess what would happen. As it turns out, just about any strategy worked so long as you stayed on the lifted tack AND had good light air speed. For the top five boats, it was going to pose a difficult challenge. Sailing "lights out" in the first race of the day was WINDCZAR, taking the lead in the regatta with a first place in race nine while Len Siegal's LUCKY DUBIE had to score their worst race in the series, a tenth. Paul Stahlberg's crew on MENTAL sailed a great race, working their way through the fleet to register a fourth and put themselves in a position to have a shot at the overall title. With the stage set for the last race, it was anyone's guess what the outcome would be for the championship. In the end, Lehmann's team on WINDCZAR stayed out of trouble, sailed a smart and conservative race to finish third and were crowned the first overall J/111 North American Champions! While their disastrous ninth race hurt their chances at the overall title, Len Siegal's crew on LUCKY DUBIE concluded their regatta with an emphatic first place in race ten to take the second spot overall. Sailing their hearts out all week were Paul Stahlberg's MENTAL crew taking third overall. Fourth in the regatta was Marty Roesch's VELOCITY crew from Annapolis, Maryland and fifth was Bill Smith's WOOTON crew from Bay Harbor, Michigan. The J/111 crews all had a wonderful time. Thanks to the sponsors SLAM Gear, Richie Stearns from Stearns Boating, Skyway Yachtworks and friends of Chicago Yacht Club. Furthermore, the Chicago YC Race Committee and PRO did an admirable job of producing great racing in what many would consider to be very challenging wind conditions. During the regatta, the social media/ photography team of Alan and Meredith Block provided excellent coverage for the event. For more beautiful photography, please see Meredith's photo albums on the J/Boats Facebook page. J/109 STORM- "Veni Vidi Vici"
J/World Sailors Are Cape-to-Cape Champions! J/24 Champion Sailors Win TP52 Super Series! J/22s & J/24s Love Rocky Mountain Highs! TURISMO ALGARVE Crowned Copa del Rey King! J/70 Weed & Kelp sticks!